Director Abhishek Kapoor and Sushant Singh Rajput had earlier collaborated for ‘Kai Po Che’ which was based on a real-life incident. 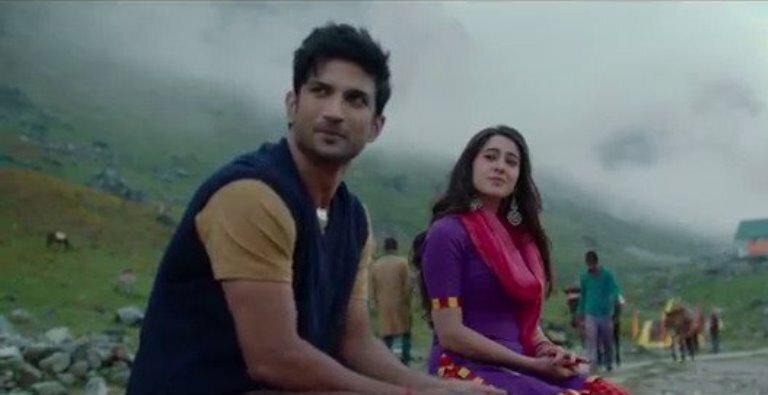 Their new film ‘Kedarnath’ is also set against the backdrop of a real-life tragedy and just like ‘Kai Po Che’, it has a social message in it. The teaser, which was launched a couple of days back, gave one a glimpse of the tragedy which forms an important part of the story of the film. Now, the trailer gives one a better idea of the story, the characters and the world they belong to. Sushant Singh Rajput plays a pitthu – men who carry pilgrims on their back across the hilly terrain where the temple is situated. Sara Ali Khan comes from an affluent family which goes on a trip to Kedarnath. During the trip, she meets Sushant and they fall in love. Apart from the difference in their societal status, the major reason the people around them have an issue with their love is that they belong to different religions. Adding to the tragedy in their lives is a natural disaster that strikes the town and several other parts of the state. Sushant, who will be seen on the big screen after a hiatus, seems to be in good form. Sara, who makes her debut with his film, has a very innocent charm about her which makes one look forward to see how she has performed in the film. The tagline of the film – ‘love is a pilgrimage’ – does good justice to it. The trailer has done its job and one hopes that the film delivers too.